Prepare to wow in this stand out maxi dress. 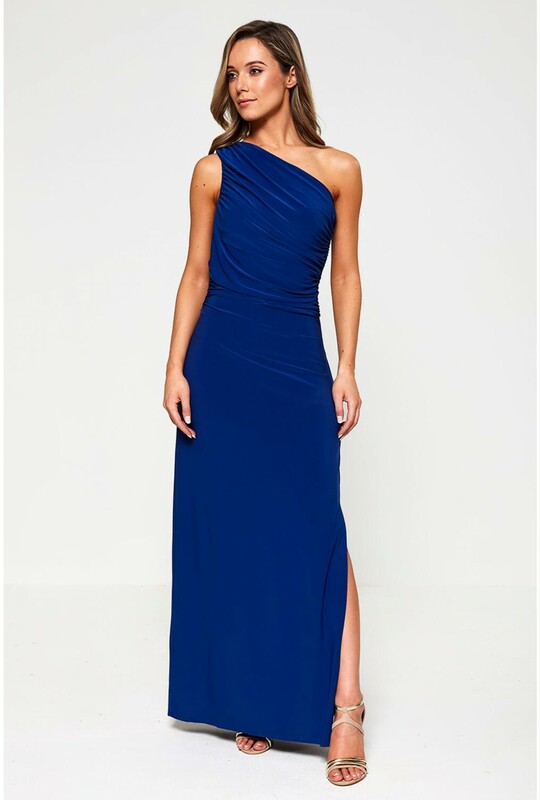 Featuring a one shoulder design, ruched detailing and figure hugging fit. Keep the accessories simple and style with barely there heels and statement earrings. For more occasion looks, browse our premium Boutique collection.